SBI offers car loan scheme with a repayment tenure of up to 7 years. State Bank of India or SBI, country’s largest lender, provides a variety of loans under its personal finance portfolio. Housing loan, car loan, personal loan, loans against property and education loans are some of the products offered by SBI. The interest rates applicable on these loans vary, depending upon the class of loan and term, among other factors, according to SBI’s website – sbi.co.in. For example: SBI provides regular home loans at interest rates starting from 8.75 per cent per annum for loans up to Rs. 30 lakh. Under regular SBI home loans, interest rates for women are slightly lower than that for others. 1. Housing loan: The housing loan is a product, where one gets loan to buy house property, renovate the property and mortgage loan against the owned property. SBI’s home loan portfolio includes regular home loan, balance transfer home loan, NRI home loan, flexipay home loan, privilege home loan, among others. 2. Education loan: SBI offers different types of loans for education, including student loan, scholar loan and loan to study abroad. Under scholar loan, loans are provided for courses at select leading institutions in India like IITs, IIMs, NITs, AIIMS and other premier institutions, which amounts up to Rs. 30 lakh. Under student loan, loan is given for pursuing higher education in India or abroad which amounts up to Rs. 10 lakh for studies in India and Rs. 20 lakh for studies abroad. 3. Car loan: SBI offers car loan scheme with a repayment tenure of up to 7 years, according to its website. This type of loan can be used to buy all type of passenger cars, multi utility vehicles and SUVs (Sports Utility Vehicle). No pre-payment penalty and advance EMI (equated monthly instalments) is required in order to avail SBI’s car loan. SBI charges an interest rate of 9.30 per cent to 9.80 per cent for car loans, according to SBI. 4. Loans against property: SBI offers loans against property for cash requirements against the individual’s asset (or property). In case of a cash crunch, customer can leverage a property and avail this loan. Repayment to the bank is to be done in form of EMIs at an interest rate pre-decided by the bank, according to SBI’s website. 5. Personal loans: SBI offers a range of personal loan schemes for different needs. 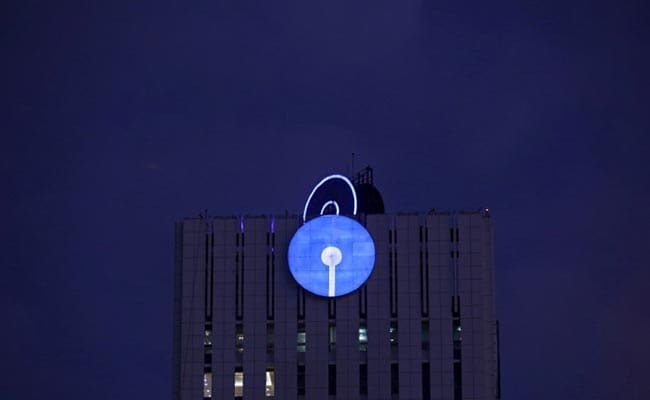 An individual can get a loan of up to 12 times of his net monthly income when applying either online or at a bank branch, according to SBI’s website.